Last update: 01/02/2019, Dr. Miguel B. Royo Salvador, Medical Board number 10389. Neurosurgeon y Neurologist. The Arnold-Chiari Syndrome Type I consists in the herniation of the lower part of the brain – the cerebellar tonsils – and of the lower part of the cerebellum through the foramen magnum towards the spinal canal, without other associated spinal cord malformations. 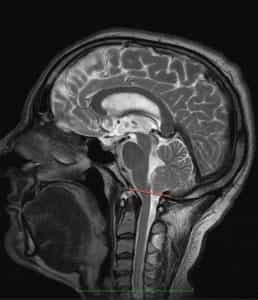 For some, the descent of the cerebellar tonsils must be greater than 5 mm, for others 3 mm, for some it can be 0 mm or the tonsils can be impacted with a compatible clinical picture. Figure 1.- Diagram showing the tonsillar descent and the consequent increase in the supracerebellar space in the Arnold-Chiari syndrome, given that the entire cerebellum moves toward the spinal canal. The clinical symptoms of the Arnold-Chiari Syndrome I (ACHSI) can be expressed in various sets of symptom combinations. Most frequent (from more to less recurrent) in our series are: headache, neck ache, paresis in extremities, visual alterations, pain in extremities, paraesthesia, sensitivity alterations, vertigo, swallowing alterations, lower back pain, memory alterations, gait alterations, upper back pain, altered balance, dysaesthesia, language disorder, sphincter alterations, insomnia, vomiting, fainting, tremors. Type I. Descended cerebellar tonsils with no other malformation of the Nervous System (NS). Type II. Descended cerebellar tonsils with a neurospinal malformation that tethers the spinal cord to the spinal canal. Type III. 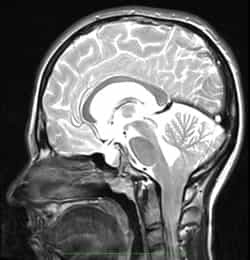 Descended cerebellar tonsils with occipital encephalocele and brain anomalies. Type IV. Descended cerebellar tonsils with cerebellum aplasia or hypoplasia associated with tentorium aplasia. Type “0”. 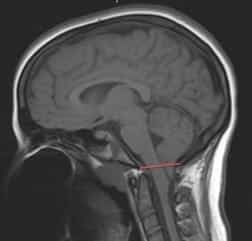 At present, the existence of cases with signs and symptoms germane to the Arnold-Chiari Syndrome Type I, but without cerebellar tonsil descent, is being discussed. Type “1.5”. 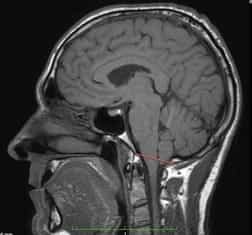 The Arnold-Chiari Syndrome 1.5, with a descent of the cerebellar tonsils and brain stem herniation into the foramen magnum, has been described recently. 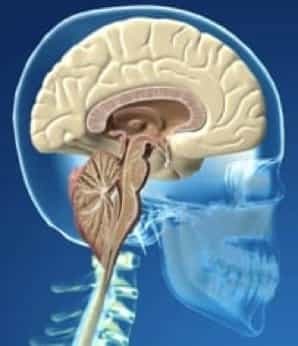 Causes for the cerebellar tonsil descent: Theories. 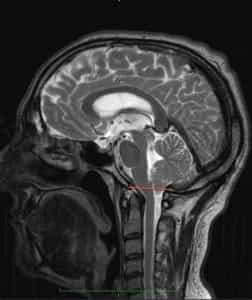 Hydrodynamic theory: the descent of the cerebellar tonsils is consequence of a CSF flow abnormality. Malformation theory: the theory of a small cranial fossa conceives that this malformation induces the cerebellum to herniate into the spinal canal. Dr. Miguel B. Royo-Salvador’s theory considers the descent of the cerebellar tonsils in an Arnold-Chiari Syndrome Type I, as a result of abnormal traction of the spinal cord, due to an anomalous and excessively tense Filum Terminale ligament (not detectable on imaging). Figure 2.- Magnetic Resonance (RM) images of a female patient at the age of 8 months (left) and 20 months (right). The emergence of a cerebellar tonsil descent from one image to the next can be observed. 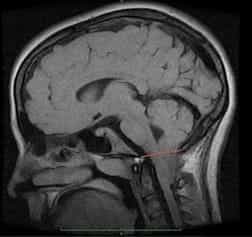 Huang P. “Acquired” Chiari I malformation. J. Neurosurg 1994. This indicates the existence of an acquired factor that besides the genetic and hereditary component. Family history: The caudal traction of the entire nervous system, produced by an excessively tense Filum terminale, which we define as Filum Disease and which causes the mechanism of the cerebellar tonsil descent. It is a congenital condition that can be inherited between family members. A sudden increase of the cord traction: It has been observed that the spinal cord traction can increase after an accident, fall or trauma to the spine – with a spinal cord that is already congenitally suffering from the Filum Disease. 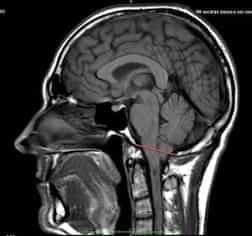 In these circumstances of greater caudal cord traction, a worsening of the descent of the cerebellar tonsils or the compression within the foramen magnum can be observed through the symptoms. In these cases, the cause of the tonsillar descent is not the accident, but it triggers a sudden worsening of the pre-existing traction mechanism, both anatomically and at the level of clinical disorders. Complications of cerebellar tonsil ectopia may depend on the degree of caudal traction or the associated compression in the foramen magnum. The latter is determined by the conflict between the spinal cord traction, the brain stem and the space available in the foramen magnum. Deterioration of the Quality of Life: in the Arnold-Chiari Type I, headaches, vertigo, spinal or limb pain, paresis, swallowing or sensitivity alterations, cognitive alterations, visual or gait alterations, can become chronic, increase in intensity and deteriorate the patient’s state more and more, up to limiting their normal activity. Chronic Pain: Patients may need to undergo treatment with a Pain Clinic, because the first choice anti-inflammatory or pain-killing drugs may not be enough to bear the symptoms of pain and headache crises characteristic of the disease. Sudden Death: Given that the control of the cardio-respiratory functions is in the brainstem area where the cerebellar tonsils are located and the compression ensues, respiratory disorders while sleeping can constitute an aspect of the condition. This can manifest as apnoea, respiratory failures or even in the sudden death of the patient. Hence, the importance of early diagnosis and treatment. 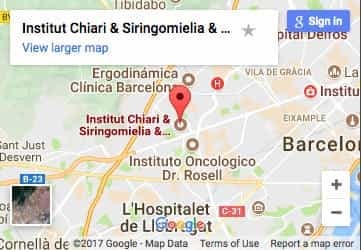 The conventionally accepted treatment for Arnold Chiari I Syndrome is neurosurgical. 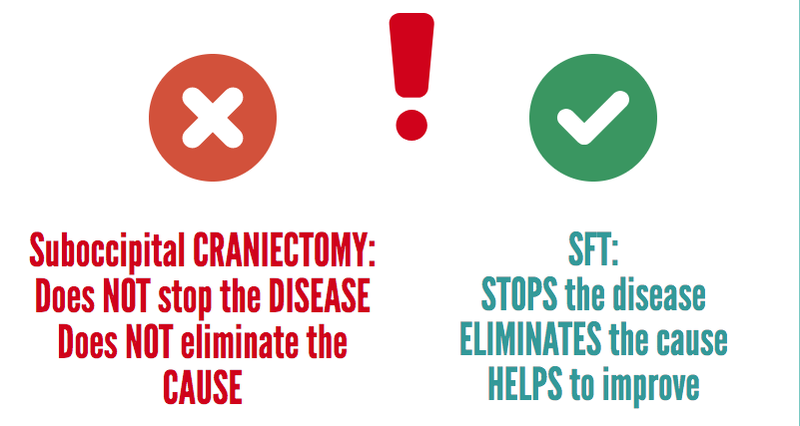 Currently, the craniectomy or suboccipital decompression is the standard treatment performed in most centers worldwide for this diagnosis, with or without syringomyelia. The indication is usually especially for severely symptomatic cases, as it causes more morbidity and mortality than the natural evolution of the condition itself. 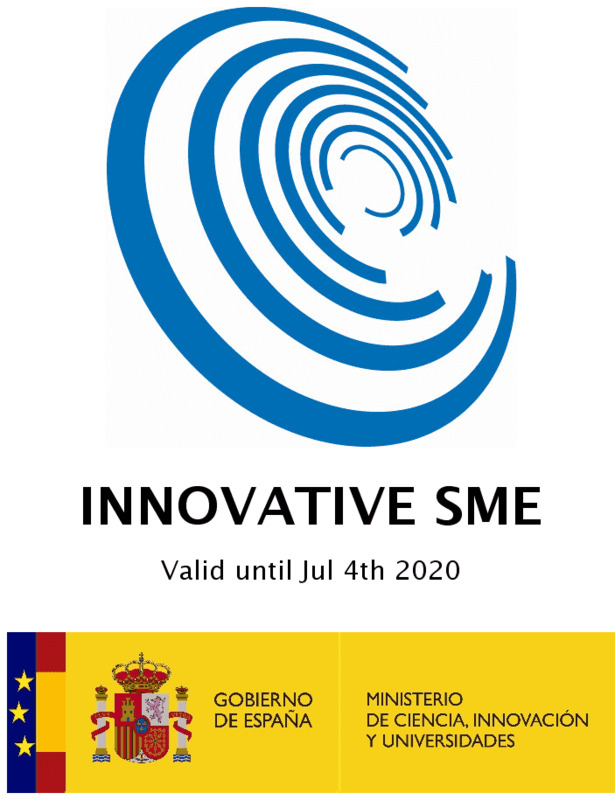 Since 1993, however, with the publication of Dr Royo-Salvador’s doctoral thesis, which links the caudal traction of the entire nervous system due to the filum terminale to being the cause of cerebellar tonsil ectopia – among other diseases -, a new treatment has been designed. It is in this case etiological (cause-related) since the caudal cord traction force responsible for the pathological mechanism is eliminated by surgically sectioning the filum terminale. Our technique for the sectioning of the Filum terminale (SFT) is minimally invasive and it usually indicated as soon as possible in all cases, from mildly to severely symptomatic, as its risks are minimal, much lower than those of the condition itself, and it also stops the condition’s progression. 1. 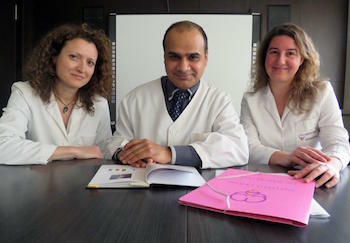 Eliminates the cause of Arnold-Chiari I and several associated conditions. 2. Eliminates the compression in the foramen magnum, and therewith the risk of sudden death. 3. The mortality rate involved in its application is 0% and there are no sequelae in more than 1500 cases that underwent surgery with the Filum System® method. 5. Improves the symptoms and stops the evolution of the descent of the cerebellar tonsils through the foramen magnum. 7. Improves the blood circulation throughout the Nervous System and hence the cognitive faculties that can be affected by the cord traction. 1. Minimal injury in the sacrum region, with the possible complications of a hematoma or infection of the surgical wound. 1. Eliminates the risk of sudden death. 2. Some patients improve clinically. 2. The mortality rate ranges from 0.7 to 12% with a greater surgical risk than the condition’s sudden death rate. 3. Aggressive, mutilating and causes sequelae. 4. It improves the patient’s condition little and for a limited amount of time (estimated in an average of 10 years). 5. Depending on the injury’s location, the surgery itself can cause neurological deficits: hemiparesis (paralysis of a body half) in 0.5 to 2.1%. Visual field alterations 0.2 to 1.4%. Speech alteration: 0.4% to 1%. Sensitivity deficit in 0.3 to 1 %. Instability (difficulty to walk) from 10 to 30%. 6. Post-operative intracerebral haemorrhage, from the surgical site, epidural or intraparenchymal bleeding, that can cause a neurological deficit or increase the pre-existing one, in 0.1 to 5%. 7. Infarction – oedema, variable depending on the process and situation, up to 5%. 8. Superficial deep or cerebral infection from 0.1 to 6.8%, with a formation of a cerebral abscess, aseptic-septic meningitis. 9. Hemodynamic alterations due to the manipulation of the brain stem injuries. 10. Air embolism (patients in seated surgical position). 14. Tetraparesis (loss of strength in all four extremities) due to the surgical position; incidental. We deem the decompression surgery contraindicated as its complication and mortality rates exceed those of the natural course of the Arnold-Chiari Syndrome Type I. 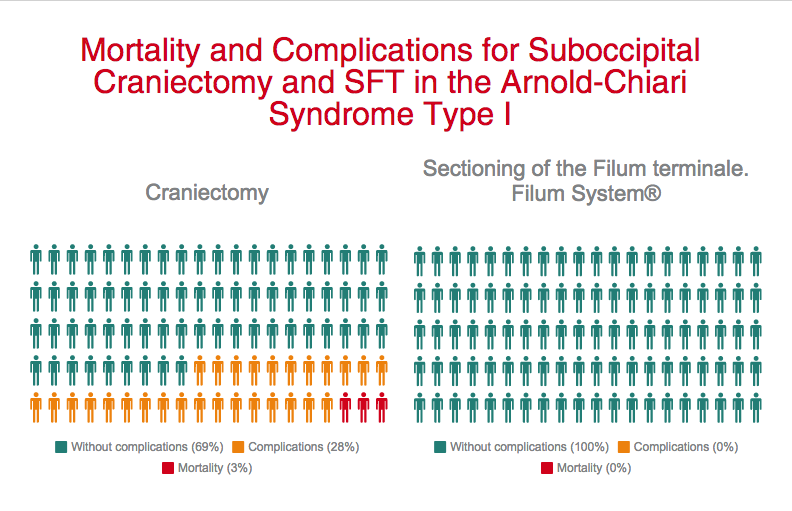 More than 1500 Arnold-Chiari I patients, with or without idiopathic Syringomyelia and/or idiopathic Scoliosis, have already undergone surgery according to the Filum System® method. The purpose of the surgical procedure is to stop the evolution of the disease and to prevent the ectopia and the injuries from increasing further. Nevertheless, in some cases remarkable improvements of the clinical status have been achieved, even including an ascent of the cerebellar tonsils. Named by: Schwalbe and Gredig, in 1907, as “malformation of Arnold-Chiari”. The current terminology is “Arnold-Chiari Syndrome” (ACHS) International Statistical Classification of Diseases and Related Health Problems, 10th Revision (c) Geneva, WHO, 1992. 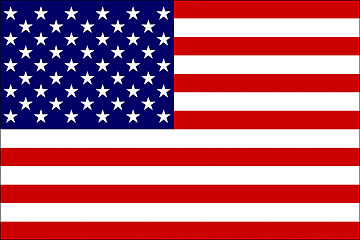 (Q07.0, ICD-10). Incidence: One case per one thousand live births, other authors point out just under one per cent of the population. In both cases the numbers are bound to very restrictive current criteria, with a descent of the cerebellar tonsils of more than 3 or 5 mm. A health method, the Filum System®, has been designed to specify the diagnosis, provide guidance for the treatment and follow-up of: the Filum System®.